The International Faculty Club (IFC) brings together academics, researchers and graduatestudents living, researching, studying, working, or passing through Bangkok, Thailand. The Club brings scholars from all disciplines together in order to share their research interests, explore avenues for partnering on projects, facilitate fieldwork, circulate information on jobs, grants and scholarship opportunities, share conference and publication calls, introduce promising faculty and graduate students, exchange views on challenges to higher education, and other relevant topics of interest. The Club is convened by Asia Centre at its premises on the 17th Floor, Phayathai Plaza Building which is conveniently accessible from Phayathai BTS stop (Exit 1). The Centre organises regular intellectual and social activities and disseminates information for scholars who lack the platform to connect with each other in Bangkok, Thailand. The IFC meets quarterly and has no formal agenda. Scholars may wish to request short presentations (10-15 minutes max) on their current research or projects. Each meeting of the Club is convened by the Centre and a member of the Club. During IFC meetings, complimentary light snacks and nonalcoholic beverages will be provided. Asia Centre also organises academic activities such as conferences and roundtables which scholars can attend. The Centre welcomes expressions of interest for partnerships from scholars and their institutions. Asia Centre is also the Southeast Asian Studies Series Editor for regional publisher GerakBudaya and has tie ups with international publisher Palgrave. 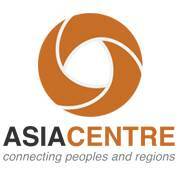 The Asia Centre welcomes the submission of manuscripts. It also has selected titles on Southeast Asia available for purchase at its premises.